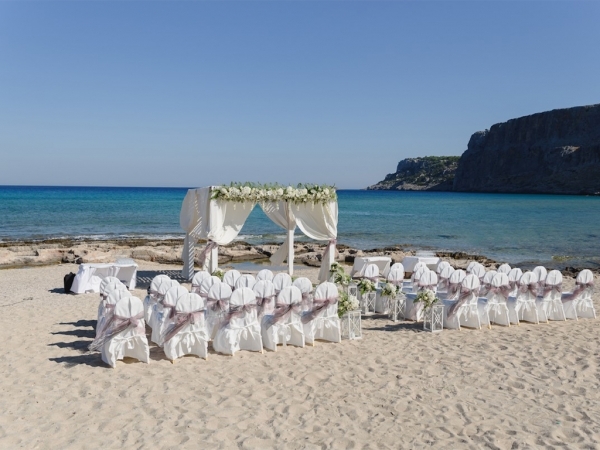 Included in this charge are white linen covered chairs for all guests, a table on the beach for the signings of the marriage license and water for all guests served by the hotel waiter. 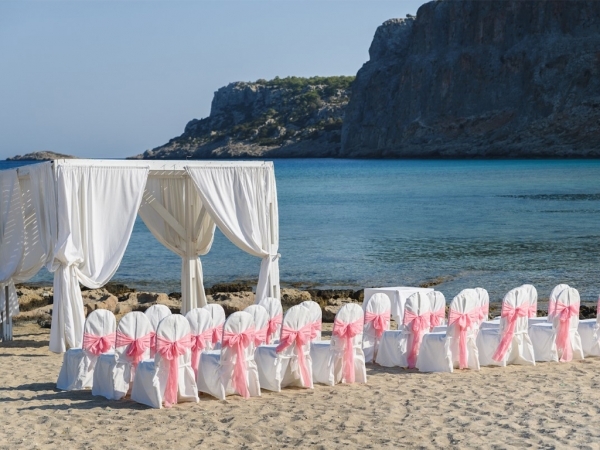 This stunning five star Hotel is the perfect venue for the ultimate beach ceremony. 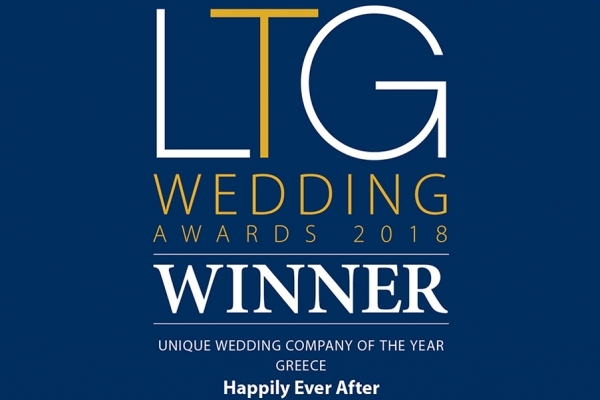 Located in Psaltos (between Lindos and Pefkos) and with stunning views across the breathtaking Navarone Bay and it's crystal clear turquoise waters, its clear to see why this venue is such a popular choice for couples. This location is also perfect for guests who wish to enjoy the full pamper experience with Hotel rooms and suites available for reservations for both pre-wedding preparation and honeymoon. 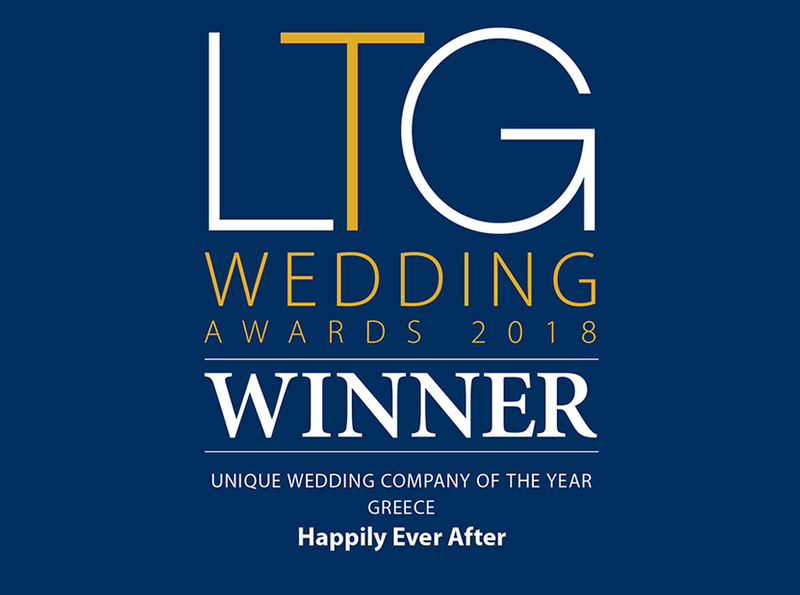 Lindos Memories can be booked as a stand alone ceremony venue or to incorporate your wedding reception in one of their fabulous Restaurants or function rooms.